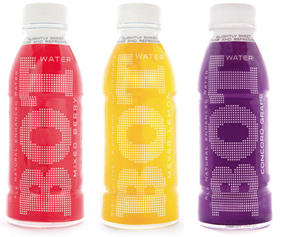 BOT have repositioned their soft drinks to appeal to adults rather than kids. But the product remains bright, energetic, eye-catching – and it hasn’t lost any of its youthfulness. So, what is this product offering us that doesn’t already exist? Possibly the idea that it’s OK for adults to drink fruit cordial as part of an active on-the-go lifestyle. Also, that adult soft drinks don’t have to be serious and worthy – they can be fun and still stylish.